As you’ ll see in just a few second, there are 3 ways to install this spy app. As you know there are 3 methods and you can choose which one best suits you and install software on that way. The designers of the app want it that installation is intuitive so there is no need to be high technical to install it. Everything is intuitive and you need to follow step by step installation procedure. First and the easiest one is to install Hyster OTA (over-the-air). So in order to download the software on that way, you will need to use a target phone web browser. For that purpose, you can use a standard cell phone web browser or any other third party. Now all you need to do is to simply type download link directly into the target phone web browser. After that, the app is downloaded to the target phone and then you follow the step by step installation instructions. If the target phone has barcode scanner then you can use the second solution and download Highster Mobile by scanning the QR Code. It is very simple and fast the only thing you need to do is to scan QR code of the application. After that, the download process begins. The last option is using USB cable. This method required to use computer for downloading and then you transfer downloaded files using USB cable. So if you want to install it on this way you will first need to download the highster mobile apk file to your computer. Then connect target phone to your computer using USB cable and transfer the apk file from computer to the target phone. You transfer the file into the target phone download folder and then run that file with target phone and follow the step by step installation process. Before we start with instructions let just emphasize device requirements. There are various sources and sometimes they don’t mention Android and iPhones requirements. What you need to know before spying Android or iPhone cell phone? You should also note that target Android phone need to be rooted in order to all features work and iPhones are jailbroken before installation in order to download the app from the internet. Rooting and jailbreaking also take some time. What will root do to my Android phone? Will I get some extra features? 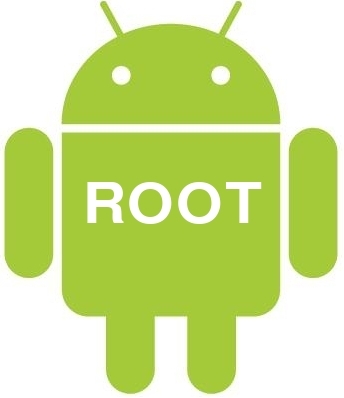 Rooting means giving root permissions on your phone. It is just like running programs as administrators in Windows. If you root an Android device, be it a phone or a tablet entails breaking it away from the preinstalled limitations that have been placed on a device. With a rooted phone, you can run apps that require access to certain system settings just like Highster Mobile, which add all sorts of extra features. Is rooting simple procedure? Can I use some tools? Rooting your device might seem like a scary thing to do but it’s actually quite simple and straight forward. There are a number of specially designed tools which will perform the root to choose from. Note it is advised to backup device data first just in case. What will jailbreak do to my iPhone? What benefits I get? Jailbreaking iPhone means removing limitations that have been placed on your device. 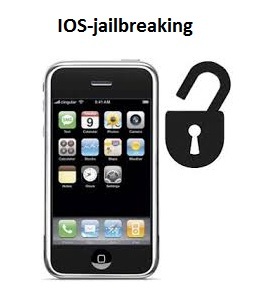 Once you jailbreak your IOS device, you will fully unlock its potential and gain extra features. Highster Mobile requires that target iPhone is jailbroken in order to download the app from the internet. Jailbreaking is a simple and harmless procedure which will allow you to install applications from various sources, not just those found in the Apple Store. Also, there are a number of specially designed tools for jailbreaking iPhones. Note it is advised to backup device data first just in case. You learned methods to install and also requirements which spy software needed in order to start spying someone secret activities. Now let’s get back to the installation guide. Install Highster Mobile OTA (using link)? OTA refers to the term “over the air” which in our case means you need to insert a download link in a web browser and the download begins automatically. First thing you need to do is to simply enter a link into the target phone’s web browser. Now application start to download automatically. Pull down the “Status Bar” and tap on file. Tap on dsx1115.apk file on Android phone. Tap on tabletmon1115.apk file on Android tablet. Enter LICENSE KEY and TARGET PHONE NUMBER. Tap “Ok” and the installation is completed. You can use this method on HTC, Samsung, LG, Motorola, Huawei, Pantech or any other Android mobile cell phone. From sources select “ngc77.com – All Packages”. Tap on the”Settings020615″ – “Install” – “Confirm” – “OK” – “Return To Cydia”..
Return on the “Home” and select “Settings”. Tap “Done” – “Submit” – “OK”. The installation of Highster Mobile on iPhone or iPad is completed. This was installation of the Highster mobile spy app by inserting link (OTA) and this is the fastest and easiest way to install the software on the target phone. Now when you install it the first informations will start to appear on your secure online control panel. How to install Highster Mobile scanning the QR Code? QR code refers to the term “Quick Response Code”. The picture actually contains efficiently stored data. And this data can have some meanings if you scan them with QR code reader/scanner application. So other solutions to install the Highster mobile software is by scanning the QR code with QR code reader/scanner app. It is very simple and fast the only thing you need to do is to scan QR code of the application and the downloading starts. The rest of the installation process is the same as above. Install Highster Mobile using USB cable? Also, there is one more option to install the software. The last solution is to install Highster Mobile via USB. With this method, you will first download highster mobile pro edition apk installation files on your computer and then transfer it to the target phone. Download apk installation file to your computer. Connect target phone with computer by inserting USB cable to port of computer and phone. Wait while computer assigns a drive letter to the connected target phone. Click on it and select the “Downloads” folder. Transfer apk file from computer folder, where you download file, to the target phone “Downloads” folder. Safely unplug the phone and locate the file on the target phone. Tap on it and begin the installation process. Installation with this method require little more time so I would suggest you to use first and the fastest method because in many cases your time will be limited. In the text below you will be able to see step by step installation instructions. Install Highster Mobile on Android mobile cell phone? … etc. whenever the device has Android OS version higher from 2.3. Also, it isn’t necessary for the phone to be root but then none of the social network features won’ t work. Now let’s get back to the installation guide. I will use first the fastest and easiest way to install the software on the target phone. … folder. “Status bar” is at the top of the Android device screen. Pull it and tap on the file. On the other hand go to main menu and tap on “Downloads” wher you can also locate dsx200215-2.apk file. Installation process begins and first thing you need to do is to allow permissions to the Highster Mobile tool. This are permissions which are needed for extracting and uploading information from the target phone. If the message “Registration successful” apear then gues what the installation is completed. If there is no message then you didn’t enter license key correctly so re-enter it. How to delete dsx200215-2.apk from downloads folder? To erase all suspicious evidence you will also need to delete “dsx200215-2.apk” from the target phone “Downloads” folder. To do that go to the main menu, find “Downloads” and tap on it. Select “dsx200215-2.apk” file and delete it. How to install it on Android tablet step by step instructions? The process of the installation is identical to cell phone installation. The only difference is the download link. Go to the Internet with any web browser. Downloading process begins. Wait for a few moments until it completes. … folder. “Status bar” is at the top of the Android device screen. Pull it and tap on the file. On the other hand go to main menu and tap on “Downloads” wher you can also locate “tabletmon1115.apk” file. How to delete tabletmon1115.apk from downloads folder? To erase all suspicious evidence, you will also need to delete “tabletmon1115.apk” from the target phone “Downloads” folder. To do that go to the main menu, find “Downloads” and tap on it. Select “tabletmon1115.apk” file and delete it. How to install Highster Mobile on iPhone? Do I need jailbreak iPhone? Is my iPhone supported by the software? As we say before iPhone devices require jailbreaking in order to install the Highster Mobile software on it. It needs to be done because you can’t download applications from various sources only apps which can be found in the Apple Store. When it comes to a compatibility, Highster Mobile currently support all iPhone devices. Jailbreaking is a simple and harmless procedure which will remove limitations that have been placed on your device and you will be able to install applications from various sources. It is application manager which allow you add other applications on your iPhone, iPad, iPod not just app from official Apple Store. This are the downloaded files. Now you need to start up the installation process. You need to tap on “Ok” to enable Current Location for iPhone GPS feature. There you will find “Settings” icon. Now on your iPhone exist 2 settings icons. If you press on a wrong settings icon that brings you to setting screen to go back and select other when it will require from you license key and target phone number. So to register your license key, you will need to enter in “License Key” field your unique license key and in Mobile No” field enter target phone number. If the message “Valid License Key” appear then the installation is completed. The first information will start to appear in your secure online control panel so you can log in to your Highster Mobile account with username and password which you can find in CONFIRMATION EMAIL. How to install Highster Mobile on iPad? Installation of Highster on iPad is identical to installation on iPhone. The iPad device will also need to be jailbroken in order to install spy software on it. So to register your license key, you will need to enter in “License Key” field your unique license key. The first information will start to appear in your secure online control panel so you can login to your Highster Mobile account with username and password which you can find in CONFIRMATION EMAIL. How to uninstall Highster Mobile? How to master uninstall Highster Mobile? You can choose this method of uninstall if the spy app is visible on the target phone. This uninstall method is very easy and fast. Locate “Applications” and tap on it. Tap on it and then select “uninstall”. How to simple uninstall Highster Mobile? Locate “Security & Screen Lock.” and tap on it. Mark “Update Service” as check. How to remote uninstall Highster Mobile? Highster Mobile app provides you great fast and advance way to uninstall spy app. The only thing you need to do is to send uninstall command and it will result with remote Highster Mobile uninstall. 1.) Login to your User Control Panel. 3.) Locate the “Uninstall” command and the corresponding code. 4.) From any cell phone send, SMS with the corresponding uninstall code to the target phone. This code is a command to the spy software and it will automatically and remote uninstall from the target phone. If you have any question or problem you can always contact support. Call this number: 866.611.9506 Monday-Friday 9 am – 5 pm EST. What is main install menu? What information can I find there? … ACCESS. After pressing on one of them you are provided with the main step by step install instructions. Where can I buy Highster Mobile? How much does spy app cost? In order to start spying with this app, you will need to buy it. This spy app is an inexpensive solution because you paid 29.99$ for excellent monitoring abilities which is not the case with other concurrent product. This spy app is this day best buy spy software. You can buy Highster mobile from the top of the page or you can buy it by pressing on the buy link below. After your order is made, you will immediately receive two email which will contain all needed information for you to start spying. Ok, this finishes a guide on How to Install Highster mobile spy. Hello. Please tell me how your app will shows in smartphone? Like system process? The Highster Mobile app is showing as Device. However, you can hide it with secret command if you prefer it. Unfortunately, there is no demo license.